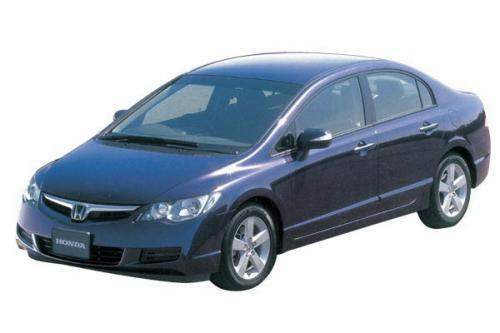 The previous 2006 Honda Civic photos which I’ve posted are the US/European model. As usual, the JDM model for the Civic has a totally different styling. The JDM model has different headlamps and a different grill. The bumper is different too. I noticed the US sedan model has only 1 large airvent on the bumper, but this model has it separated into 3. The 2006 Civic for the Malaysian market will probably be something in between the US and JDM model. We will probably only get the Sedan version. It’s likely that the 1.8 i-VTEC will replace the 1.7 VTEC we have currently. The 2.0 i-VTEC model remains.